Did Kate Bolduan just diss former co-anchor Chris Cuomo? Two of Kate Bolduan’s former co-anchors are making big moves: Chris Cuomo is moving to primetime this spring, and John Berman is taking his seat on New Day. Yet when former New Day co-anchor Bolduan offered her congratulations, it was only to Berman — not Cuomo. Reports indicated that Cuomo was insistent on getting her moved off of New Day, which eventually happened during her maternity leave. She was replaced by Alisyn Camerota. 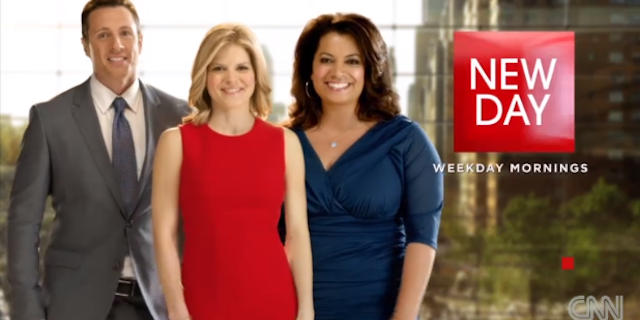 3 Comments on Did Kate Bolduan just diss former co-anchor Chris Cuomo? I try to go out of my way to defend the women in these media squabbles. But in these two instances I think CNN and NBC made the right decisions. However, I suspect most of us would agree that NBC could have handled in better. Do the names Charlie Rose, Bill O’Reilly, Roger Ailes, Harry Reasoner, Garrison Keillor, Glenn Thrush, Matt Lauer and Mark Halperin give you a clue?